It’s a great way to stay remembered Drink coasters are cool !!! Add a noticeable touch of class to any desktop or office environment. Cardboard coasters can be printed 1 to 4 colours, including full colour process, single or double sided. For advertising and promotional or as a personal gift purposes. 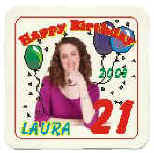 Single sided glass coasters can be printed 1 to 4 colours, including full colour process. With this high perceived value, our printed coasters are unique. For advertising, promotional or personalizing purposes. 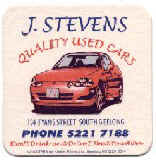 Coated coasters can be printed 1 to 4 colours, including full colour process, single sided only. Our beverage printed personalized drinks coasters are designed to suit your party theme and mood & are the perfect to add some style and flavour to your next event or party!